NGD Plumbing & Heating Supplies LTD Tel: 01257 232 352 Speedfit Connectors in Blackpool, Chorley, Preston, Wigan, Leyland, Bolton, Manchester, Blackburn, Oldham & Lancashire. With over 4 decades in the bathroom & plumbing industry, we offer unbridled service and product knowledge. Our management team take great effort to ensure our customers are satisfied as it is our mission to keep our customers supplied and coming back. We supply: Speedfit connectors, bathrooms, taps, boilers, piping, tile adhesives, grout, silicone, screws, rawlplugs, electrical sockets, wire you name it we supply it. 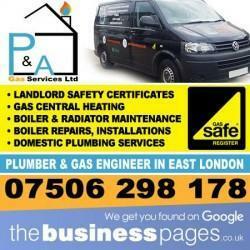 P & A Gas Services Ltd Tel: 07506 298 178 Gas Safe Engineers in East London – Why choose us? We are Gas Safe Registered Engineers Covering all of East London. Why choose us? Gas Safe Registered Friendly & Reliable Services All work guaranteed Boiler breakdown repair – No heating or no hot water. Water Leaks – Burst pipes, leaks and water supply repairs Gas Leaks – Can you smell gas? Call us Blockages – Sinks, Baths & Toilets Unblocking. 1 Year Parts and Labour Warranty. Gas Safe registered engineers. FREE emergency advice. P & A Gas Services Ltd Tel: 07506 298 178 Landlord Gas Safety Certificates in East London – Best prices for a Landlord Gas Safety Certificate East London. Why choose us? Gas Safe Registered Friendly & Reliable Services All work guaranteed Boiler breakdown repair – No heating or no hot water. 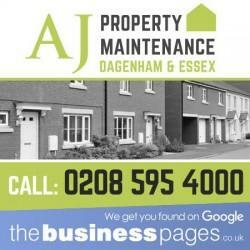 Water Leaks – Burst pipes, leaks and water supply repairs Gas Leaks – Can you smell gas? Call us Blockages – Sinks, Baths & Toilets Unblocking. 1 Year Parts and Labour Warranty. Gas Safe registered engineers. FREE emergency advice. P & A Gas Services Ltd Tel: 07506 298 178 Breakdown Repairs in East London – Best prices for Vaillant, Ideal, Baxi, Worcester Bosch, Biasi & Vokera Boiler Repairs, Servicing, Installations & Replacements in East London. Why choose us? Gas Safe Registered Friendly & Reliable Services All work guaranteed Boiler breakdown repair – No heating or no hot water. Water Leaks – Burst pipes, leaks and water supply repairs Gas Leaks – Can you smell gas? Call us Blockages – Sinks, Baths & Toilets Unblocking. 1 Year Parts and Labour Warranty. Gas Safe registered engineers. FREE emergency advice. P & A Gas Services Ltd Tel: 07506 298 178 Provide Boiler Replacement in East London – Best prices for Vaillant, Ideal, Baxi, Worcester Bosch, Biasi & Vokera Boiler Installations, Repairs, Servicing & Replacements in East London. Why choose us? 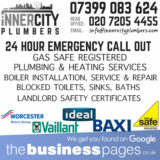 Gas Safe Registered Friendly & Reliable Services All work guaranteed Boiler breakdown repair – No heating or no hot water. Water Leaks – Burst pipes, leaks and water supply repairs Gas Leaks – Can you smell gas? Call us Blockages – Sinks, Baths & Toilets Unblocking. 1 Year Parts and Labour Warranty. Gas Safe registered engineers. FREE emergency advice.